Carol and I have 5 children, 10 grandchildren which we spend lots of time together! we enjoy nature and all the joys it brings to us and our family, we hunt, fish, camp, and hike together. 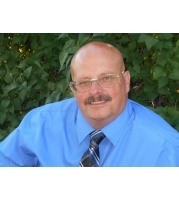 Hi Shawn, I just came across your profile on memberagents.com. I'm interested in purchasing a home in your area and would like to talk to you about possibly helping me find a nice home to purchase. Please let me know if you're available to help out. Thanks!